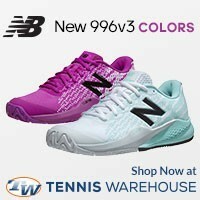 Enter to win a tennis racquet! 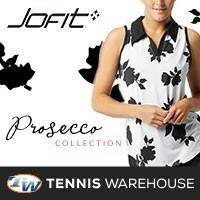 2013 US Open Giveaway! You are here: Home / Announcements / 2013 US Open Giveaway – Enter to win! 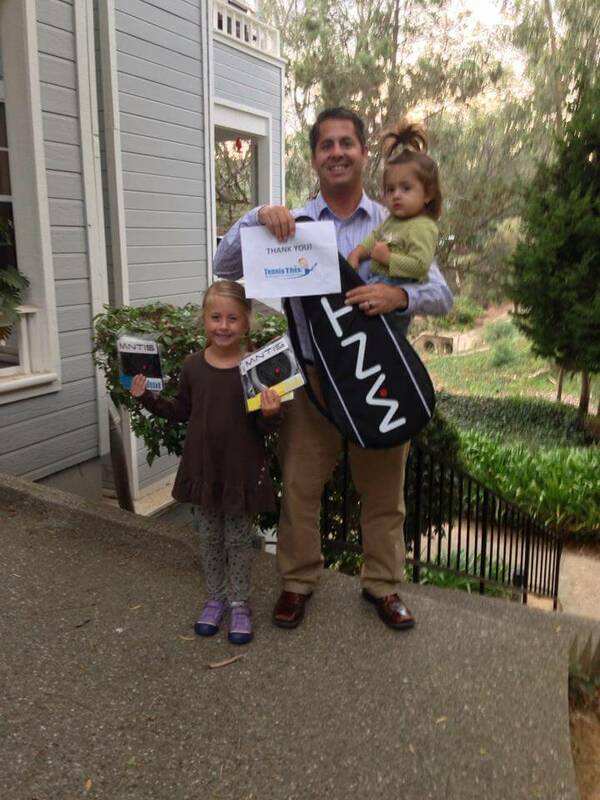 2013 US Open Giveaway Winner with his prizes! 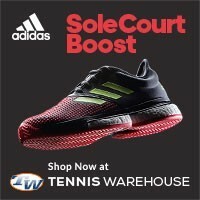 It’s time for another TennisThis.com major giveaway! This time during the 2013 US Open, which starts only a couple of weeks from now. 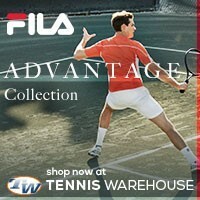 Last year, I gave away a Babolat Pure Drive Roddick, this contest was extremely popular! The lucky winner received and is enjoying his new tennis racquet. So, this year, I wanted to give all of you an opportunity to enter to win a sweet prize! I feel that the best thing to giveaway is a great product and what better type of tennis product is there to giveaway than a brand new tennis racquet? So here it is, at the end of the 2013 US Open (after the men’s final) I will select one very lucky winner to win a Mantis Pro 295 tennis racquet! This is the frame that I personally use and have named “Tennis Racquet of 2013.” Of course, that’s not the only thing you’re going to get, I’m going to throw in a Mantis string package as well (a few sets of poly and a few synthetic gut). I’m also going to throw in a special edition 23K Studios (follow them on twitter @23KStudios) Roddick vs. Groth “Battle for the fastest serve 2013”. Super spectacular right? To enter you must leave a comment about your favorite match of any US Open – Put your entry below in the comments section. You must use a valid email address (there have been winners in the past that didn’t use a valid email and missed out on the prize). I highly recommend sharing this contest on your Facebook, Twitter, Pintrest, or any other thing the cool kids are using these days (doesn’t hurt to follow me either). I encourage you sign up for my weekly (sometimes less) newsletter, subscribe here. This contest is open to all men, women, children, Capybara’s, and general tennis fans; in all countries. If a winner is selected who happens to live outside of the US, that winner is responsible for shipping costs and any taxes or fees. The winner, when selected, will have 24 hours to respond to my email to claim his or her prize! That’s pretty much it, I wish you all good luck and hope that you will enjoy this unique opportunity to win a very unique tennis racquet! My favorite US Open tennis match that I have ever seen must be 2013 semi-final of Djokovic and Wawrinka. I think it goes down as my favorite because it restored my faith in the rest of the top 10. Many times, guys in the top 25 get completely dominated by the top 3. But stan can into the match with confidence. After destroying Andy Murray in straight sets he can into the match feeling like he could win. And I think that Djokovic even started to doubt himself a few times. The level of tennis was so high and Stan fought so hard that I was inspired just watching. Even though he ended up losing, I think that Stan Wawrinka may have one in the end, he now is certain that he can hang with any of the big 4 and even take them down on any day. Also his shoes had “Stan the man,” written on then too and I’ll never forget that either. First of all…what a challenging question. There have been a lot of great matches at the US Open, but the one I remember best is the semifinal between Federer and Djokovic in 2009. Not because it was a 6 hour during 5-set match or because it was a Federer match. But the match demonstrates how important it is to have confidence and that when you are confident, you can produce the most beautiful points at important moments. At 6-5 in the third set at 0-30 on Djokovic’s serve, after a lob from Djokovic Federer hit a (winning) tweener. I think that this point was not only one of the best points ever made, but also the reaction from Fed (and Nole) afterwards. Both players couldn’t believe what just happend. You see Fed smiling and thinking: Did I just did that? And you see Djokovic standing there and thinking: Did he really hit that shot? My personal favorite was the round of 16 Murray vs Raonic last summer. I am a huge Murray fan and met him a week ago and just seeing Murray never win a Grandslam being in the stand, cheering, seeing his determination and his focus. I could tell he was going to be a threat at that moment. It was incredible. Last year’s US Open of course. I’ve been the biggest Murray fan since a few years back. I remember he was known to choke so much in big games but I loved watching him play and seeing him get his first Grand Slam was very awesome to see. I think last year’s US Open was spectacular. Murray winning his first grand slam and winning the first grand slam for his country in so long. He played amazing last year. That was my favorite US Open match. Krickstein vs. Connors in 1991 !!!!! All around, I really like 09 US Open. Del Potro legitmately beat Nadal and Federer in a very exciting way. But sadly, he got injured and he wasn’t able to continue on to dominate (if he could). though, i like 2012 Match between Fed and Djok, Fed should have won but I think his back and age started hitting him, haha. In my opinion the best tennis match is the Krickstein vs. Connors during the fourth round which occurred on 2 September 1991 which lasted 3 hours 57 minutes 10 seconds into the next day where a 39 year old Jimmy Connors celebrating his birthday considered over the hill defeated Aaron Krickstein in a Marathon match for the ages. Jimmy received a wild card entry also for this tournament. Also it must be noted that September 2nd is Jimmy’s birthday and it was a ritual that his loyal fans would sing “Happy Birthday to him every year. Jimmy was coming back from major wrist surgery. Before this match he defeated Patrick McEnroe to play Aaron Krickstein. This match showed the true warrior Jimmy is as in his usual style playing with his Estusa racquet would not give up on any point during this match and pumping himself up by saying the quote “This is what they came for” and also the fans telling Jimmy to “Nupe it after the brand Nuprin which Jimmy was a spokesman. Many in the tennis world consider this the best and most competitive match in U.S. Open history. This definitely has to be the best birthday present that Jimmy could give to his many loyal fans of New York City. By far Krickstein vs Connors in Connors last match. The Will power with help of the crowd made it a match that I will never forget. The best match that I have ever watched in the US Open was the Djokovic – Murray Final last year. I thought it was amazing to see Murray overcome all the pressure of the British Public to win. It was a brilliant emulation of Fred Perry’s achievement in 1936 and shows some people put their mind to something for so long without reward, and it feels even sweeter when they achieve it. Murray lost 4 Grand Slam Finals before he finally won the US Open, which is an open-era record. It was never going to be easy for Murray against Djokovic, or against anyone in a Grand Slam Final in fact but the swirling wind did make play troublesome for both players. Djokovic had been in great form on hard courts as well, winning 27 matches in a row on the way to the final. One of the greatest matches I personally witnessed was at the 2004 US Open, a 2nd round 5 hour 9 minute marathon (currently the 2nd longest match in US Open history) between Sargis Sargsian and Nicolás Massú. Massú, who was coming off his double gold medal victory at the 2004 Olympics in Athens LITERALLY DAYS before this match, lost in a huge upset: 6–7(6–8), 6–4, 3–6, 7–6(8–6), 6–4. Massu had just beat Mardy Fish for gold in singles and also teamed up with fellow Chilean Fernando Gonzalez to take home the gold in doubles. The best part was sitting next to Massú’s younger brother, trainer, and coaches and hearing the constant dialogue back and forth in Spanish. The match was heated and the momentum was swinging back and forth. Few people even knew who Sargsian was (at the time the only Armenian professional tennis player…unless you count Agassi) but was a good friend and hitting partner of Andre. I could have watched another 3 hours of that battle! Anyways, while it probably doesn’t rank very on most people’s lists, it does illustrate that quality of the matches that you can watch on the side courts during the first week of the Open, the greatest sporting event in the world. As for me, I will never forget the blood and sweat those two warriors left on the court that day. Inspiring doesn’t quite cover it.